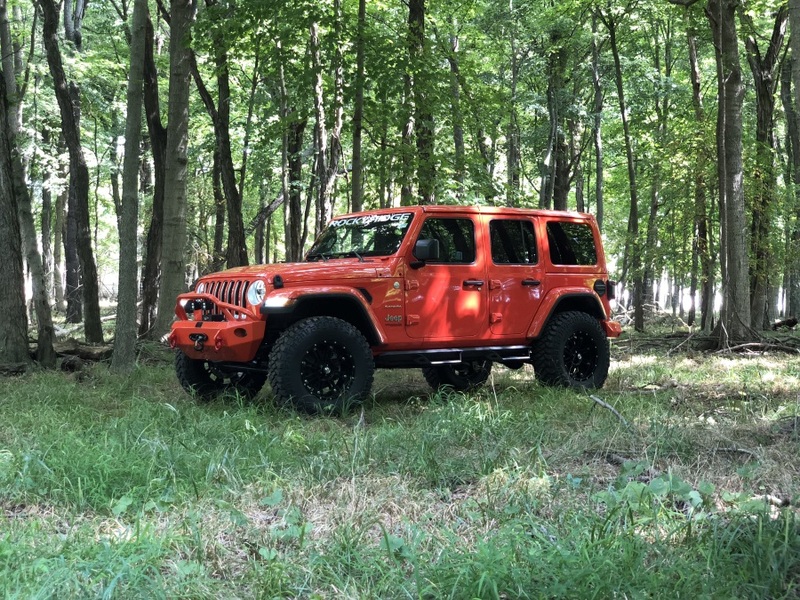 Can I add a Rocky Ridge package to a vehicle I have already purchased? Absolutely, as long as your vehicle is under 2 years of age and has less than 25,000 miles, we can still install a lifted truck package on your existing vehicle. How much does it cost to add a Rocky Ridge lift kit to my vehicle? Pricing is set at the dealership level and can vary greatly depending the vehicle’s options and manufacturer rebates. Can I purchase a Rocky Ridge suspension lift kit and install it myself? No. So much of what makes a vehicle a “Rocky Ridge” is the experience and craftsmanship of our production staff. Unlike most “mom and pop” off-road shops, Rocky Ridge spends an extensive amount of time training and developing each member of our team. For example, the current “rookie” suspension tech at Rocky Ridge has almost one thousand installations under their belt. We also devote countless hours to staying up-to-date with the latest market trends and industry regulations so we continue to provide only the highest-quality suspension lifts available. Where do I take my vehicle for service or warranty needs? Rocky Ridge vehicles can be serviced or warrantied at our dealership, or any manufacturer’s authorized service center. Yes, lifted trucks are safe. Rocky Ridge builds all our trucks to FMVSS standards, so our lifted trucks are just as safe as stock factory trucks. They’ve been tested extensively in tight cornering and emergency avoidance maneuvers to ensure they pose no greater risks than their unmodified counterparts. Do lifted trucks ride rough? Yes, some lifted trucks can ride rough. This is especially true with cheaper, lower-quality lifts or lift kits that aren’t designed or installed properly. 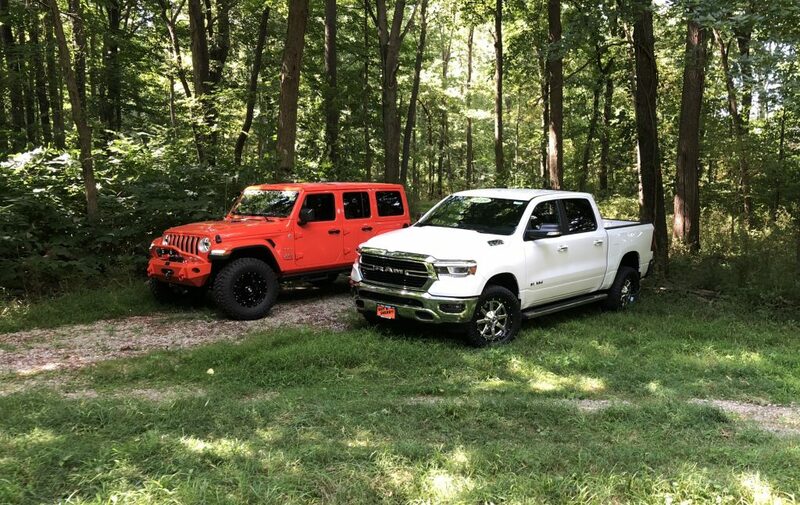 However, Rocky Ridge lift kits are custom developed and expertly installed to ride and drive very smoothly, sometimes even better than the factory truck. Can a lifted truck pull a 5th wheel trailer? Yes, a lifted truck can pull a 5th wheel trailer. Rocky Ridge will install a 5th wheel hitch on our lifted trucks by customer request. We generally recommend adding gooseneck hitches to trucks with either 2-inch or 4-inch lifts maximum to ensure proper ride comfort. A leveling kit raises the front of a stock truck so its body sits level (fully horizontal) to the ground. Leveling kits are needed because factory trucks are often lowered in the front to reduce drag and raise fuel economy. Many drivers prefer the look of a leveled truck. What is the legal height for a lifted truck? Every state has different rules and regulations for the legal height for a lifted truck, and they change constantly. Check your local laws for further info. All Rocky Ridge trucks are built to be 50-state legal, so lawful lift height should not be a concern for our customers. Is it better to get a suspension lift or a body lift? A suspension lift is better than a body lift, because it makes your truck more capable off-road. A body lift only lets you put bigger wheels and tires on your truck. A suspension lift does the same thing while also raising ground clearance, helping you drive better over rougher terrain. Read more about the difference between a suspension lift and body lift here. How does a suspension lift kit work? A suspension lift kit works by replacing stock parts like springs, shock absorbers, struts, and sway bars to lift the truck higher above the ground and add more space under it. This added “ground clearance” allows a lifted truck to drive better over rough terrain without getting stuck.